To say this has been a coat season of major proportions (featuring coats WITH major proportions), is an understatement. It's also been a season marked by military overtones; structured military shapes, camouflage prints, and the employment of different shades of army green. While anything as obvious as camo prints did not appear on Francisco Costa's runway, his 33 piece collection for Calvin Klein, presented yesterday at two back to back showings on West 39th Street, the collection was unapologetic ally military inspired. 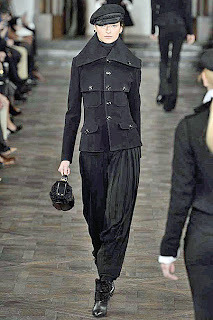 Working with a color palette of snow, forest green, anthracite, black, midnight, and navy, outerwear was the main event. Coats were hefty and exaggeratedly structured and almost armor like (if not combat ready and bullet proof), thanks to innovative fabrics (open weave alpaca, forest plaid vinyl and bonded wool twill), and out sized proportions that added poundage to the models, without any of them having to actually eat to gain weight (I found myself wondering how these will look on average women). 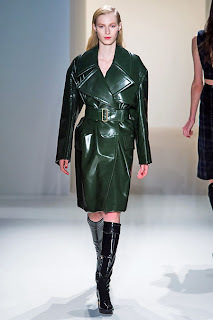 By the way, when you think of Calvin Klein, and Francisco Costa, the words that most likely do not come to mind are vinyl or plaid, but both these elements surprisingly figured into his fall collection, even though in the case of the latter, it was rather subtle. 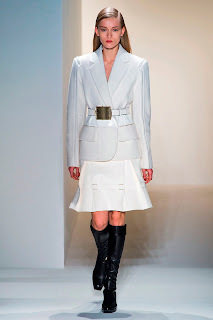 Shoulders were strong, defined, and dropped in many instances; pockets were out sized and utilitarian; and military roller belts (with pronounced gold buckles) accented the waists. 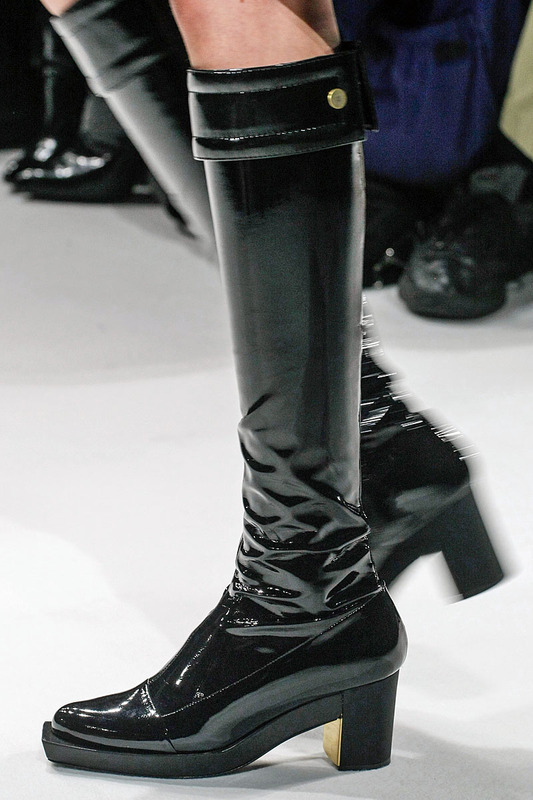 Even the footwear was geared towards the strong, functional, utilitarian, grounded, and battle ready (whether you're really going into battle, trying to get through the paces of urban life, or just surviving another fashion week). One of the most welcome sightings for me, because I love a shoe or boot that not only looks good but one that I can actually walk in (gee, what a novel idea), were the fabulous black stretch vinyl over sized welt boot on a very low platform and mid heel, which will be on my 'to buy' list next season. In addition to a black hair calf/gold plaque over sized welt pump (that reminded me of a classic Roger Vivier pump on steroids), they were Francisco's footwear of choice for the collection. 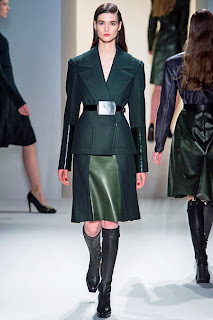 In addition to the great coats, there were very strong jackets (examples are the black grain de poudre hinge pocket belted blazer shown with a black banded cupro satin pleated pant, and the snow alpaca double faced glen plaid wool hinge pocket jacket shown with a snow stretch nappa pleated panel skirt). Pleats (once again, hefty and structured), figured prominently in the collection, adding movement to skirts, and were done in cashmere and open weave wool felt, glove plongee, and stretch nappa leather. Though definitely not for everyone (and definitely not for the faint of heart), this was a well edited collection with a strong point of view from beginning to end, down to the (almost non existent) evening portion (with dresses made of black wool mesh/chain embroidery and black wool mesh/engineered lace). If you're looking for something soft, sheer, dreamy, or wispy, look somewhere else. FYI, Jessica Chastain was seated in the front row, perhaps looking for something to wear to the Oscars next Sunday. I guess she was disappointed that there were hardly any major "red carpet" dresses). Ralph Lauren changed venues this season, opting for the St. John Center Studios on Washington Street, just blocks away from the Skylight Studios on Hudson Street which had become his signature space as of late. The entry hall into the actual room where the show was to be held, had the most enormous and gorgeous Versailles- worthy floral arrangement, prompting a fellow show goer to observe, "those flowers cost more than most of us make in a year". Yup. The man is doing something right and he sticks to his guns and keeps to his finely honed aesthetic. Looking over the run of show, I could see that the first 20 out of 58 pieces in the collection, were either all black, or in some combination of black, white, and ivory (with touches of gold). 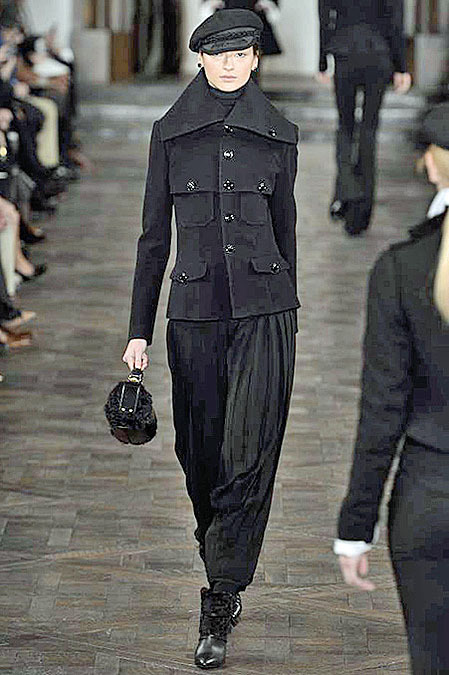 What could be chicer, more fall like, and quite frankly, more Ralph Lauren for that matter? It's a no brainer, a customer favorite, and he wisely revisits it quite frequently, as he did for fall 2013. The only other colors used were what could be described as traditional, rich fall hues: brown, charcoal, burgundy, loden, moss green, forest green, steel blue, and midnight. The highlights of this gutsy collection that had not a trace of Spain or South America by the way (and in which day wear ruled), were undeniably the jackets (does anyone tailor a better blazer?) 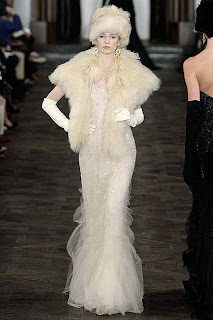 and especially, the coats, which came in a variety of shapes, lengths, and silhouettes. 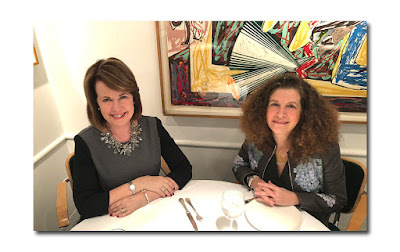 In a truly stellar coat season, RL's are always cove table. In addition to the wonderful group of coats in textured black wool, standouts include the cream curly shearling jacket, the cream wool flyaway jacket with toggle closures, the black bonded leather coat with shearling collar, the almond shearling and bonded wool reversible coat, and what has to be THE ultimate down coat around: lined with black Mongolian shearling it featured an enormous black Mongolian collar. 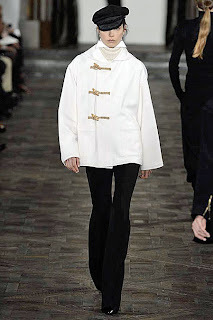 ﻿Layering is always a Ralph Lauren trademark, and beneath many of the pieces, were ivory silk crepe blouses, some with white cotton detachable formal bibs, which imparted a feeling of well, formality. Vests were employed as well, many of which were embroidered (embroidery was a theme throughout) and capable of standing on their own. Pants figured prominently into the line up and there were uber flattering and leg lengthening double faced wool crepe stovepipe pants, wool crepe trousers, black leggings with stirrups, brown herringbone knickers, and something called a sable pant (it was pleated and full through the hips, tapering to the ankle). Black calf and suede shoe booties, in addition to knee high and over the knee boots. kept the proportions grounded. Bags have become big business and Ralph showed myriad incarnations. 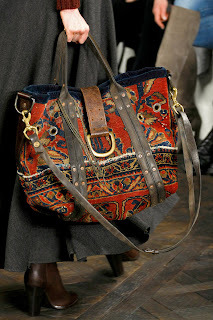 There were sling duffel bags, alligator mini cross body bags, polished calf saddle bags, calf and moire lamb small wide frame bags, as well as statement making large totes and carpet bags in patchwork with shearling trim. As for evening, it was all about long dresses (not one short dress was shown). A sleeveless black pleated leather and silk georgette evening dress was wonderfully sleek,simple, and stunning (and illustrated an inventive use of leather), and many of the dresses that comprised the finale (made of silk, beaded tulle, Chantilly lace, silk taffeta), were shown with abbreviated capelets (shearling, or shearling and feathers). By the way, that it was Valentine's Day, was not lost on Ralph. On each seat, there was a sweet note and a package containing 18 pieces of chocolate, from Dylan's Candy Bar of course (Dylan is Ralph's daughter). 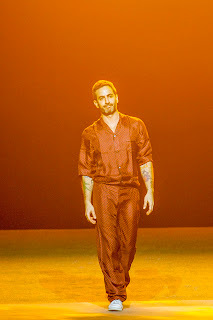 And finally, just as many of the designers who showed this past week, have endorsed looks that are predicated on covering up from head to toe (in yards of stiff fabric no less), leave it to Marc Jacobs to show a lot of leg, put his gals in pajama tops, and stripped them down to their skivvies (in all fairness, that was hardly all he showed in a collection that had a lot of Kate Moss written all over it, but still, it was a statement). When he took his bow onstage, he was dressed in what looked like pajamas as well. Is he telling us that he is bored, tired, and that it's past his bedtime? 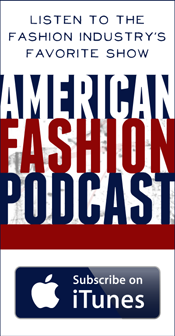 In any event, I thought there was something quite fitting and apropos about the fact that due to the blizzard, Marc (one of the most influential designers in the world), had to change the date of his fall runway show from Monday, to last evening at 8PM, in effect, formally giving him the "Last Word". This ultra thin smartphone runs on Windows Phone 8 and has reliable Verizon service. 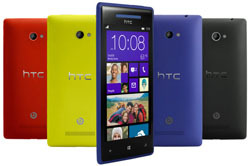 It has 4.3" HD-resolution super LCD 2 touchscreen that is made of Gorilla Glass 2 and an 8-megapixel camera.